InterContinental Hotels Group (IHG) has opened the Crowne Plaza Riyadh – RDC Hotel and Convention Center, which marks the seventh operating hotel from the brand in the city, and the 31st in the Kingdom. The 326-room hotel is located in the Al Ra’idah Digital City (RDC), a mixed use district expected to accommodate over 20,000 employees and around 10,000 residents. It is in close proximity to the new financial district, the Riyadh CBD, King Saud University, Diplomatic Quarter. It is also 25 minutes away by care from the King Khalid International Airport. Some of its facilities include 12,000 sq m of exhibition and conference space, including a three-level conference center, ballroom, large pre-function areas and 12 daylight meeting rooms. In addition, guests can enjoy the hotel’s outdoor swimming pool, tennis court and health club. It boasts an all-day restaurant that seats 500 guests. Other dining outlets service Japanese and Brazilian cuisine. Canapés and beverages can be enjoyed at The Lobby Café or Indoor Tea Garden. The hotel is expected to attract business travellers specifically, according to Pascal Gauvin, managing director, India, Middle East & Africa, IHG. “We are observing an increased demand for guests who would like to have access to world-class business amenities. This hotel and the overall master development are perfectly suited to cater to this demand,” he said. IHG currently has 81 hotels across five brands in the Middle East, including InterContinental, Crowne Plaza, Holiday Inn, Holiday Inn Express, and Staybridge Suites, with 28 hotels in the development pipeline due to open within the next three to five years. The Saudi Railway Co. (SAR) on Wednesday announced the launch of its first-ever night train journey from Riyadh to Al-Jouf. The station’s addition marks the fifth destination included on SAR’s passenger line, the firm told local media. Its inclusion comes following the completion of the operation. Passengers will now be able to enjoy special night cabins on the trains travelling between Riyadh and Al-Jouf through Hail and Al-Qassim. Each cabin boasts pillows, blankets and Wi-Fi, and can fit a maximum of four people. A team will also be available to serve passengers throughout the trip. Travellers wishing to travel on the train can book tickets through SAR’s website, application or its customer service centre. Saudi Arabia opened its new high-speed railway to the public last month, taking Muslim pilgrims and other passengers between Makkah and Madinah. The Haramain High Speed Rail system transports travellers 450 kilometres (280 miles) via the Red Sea port of Jeddah at speeds of up to 300 kilometres per hour. It consists of two trains carrying 417 passengers each. They will initially run only two daily services. Saudi Arabia has announced plans for 23 new road safety projects at an investment of SR2.2 billion ($585 million), said a report. The government will be completing these major infrastructure projects in phases. In the first phase, the kingdom will implement a total of eight projects, covering more than 68,000 km across the kingdom at an investment of SR773 million ($206 million), reported Arab News. The eight projects include the establishment of the National Road Safety Center, three “traffic safety equipment” projects, three “rumble strip” projects to alert motorists to changing road conditions, and the implementation of recommendations from last year’s Engineering and Consultancy Services Agreement. The agreement identified a number of issues with the country’s road network, including accident black spots; reviewed the ministry’s traffic control centres; analysed accident reports; and modernised the ministry’s safety department documentation and policies, it stated. These are part of the Ministry of Transport’s contribution to the objectives of Saudi Vision 2030, it stated. In Phase Two, the ministry will implement a further 15 projects over the next three years, all aimed at reducing the number of accidents and casualties on the kingdom’s roads, said the Arab News report. It is estimated that traffic accidents cause material losses of SR4.4 billion every year. Later projects will include improved safety facilities at animal crossings, the installation of protective barriers for lampposts on some roads, improved intersections and junctions, and enhanced streetlighting around dangerous intersections, it added. Hundreds of foreign visitors from more than 50 countries are expected to arrive in Saudi Arabia for the ‘Saudia’ Ad Diriyah E-Prix next month on tourist visas being issued for the event. The Formula E debuts in the Middle East from December 13 to 15 and tickets are on sale for the race from SR395. This is the first time Saudi Arabia is issuing tourist visas for an event outside the realm of religious tourism. Visas can be obtained through the “Sharek” visa portal, a move expected to bring about a significant change to the tourism and hospitality landscape in the country. Visa applicants must buy E-prix tickets to secure a visa, which is extendable for 30 days beyond the conclusion of the Formula E weekend festivities. The event will be covered live by the BBC for its audiences in the United Kingdom. It will highlight one of Saudi Arabia’s prominent heritage sites, Ad Diriyah, on which the BBC will train its cameras. During the race, the Unesco site will come alive with cultural and entertainment activities, including live musical performances by international artists. Various categories of tickets are meant to suit every pocket, the cheapest being only SR395. Tickets are available on www.ad-diriyah-eprix.com. Fans can watch all the action from the grandstands. They will also have access to the E-Village and another entertainment area, in addition to a post-race concert. From a single-day ticket to hospitality packages across the three-day festival, there are offers for all. Fans in Jeddah can buy tickets and get a preview of the race at the upcoming “Road to Ad Diriyah” event on the corniche from November 22 to 24. With racing simulators, an outdoor cinema, watt bikes, VR attractions and a second-generation Formula E car on show, the show promises to entertain everyone. For gamers, the “ABB FIA Formula E Road to Ad Diriyah” eSports tournament will conduct a qualifying heat. Two winners from Jeddah will join other from Khobar, Riyadh and online for a chance to compete at final race at Ad Diriyah. Prizes worth SR1 million are on offer. 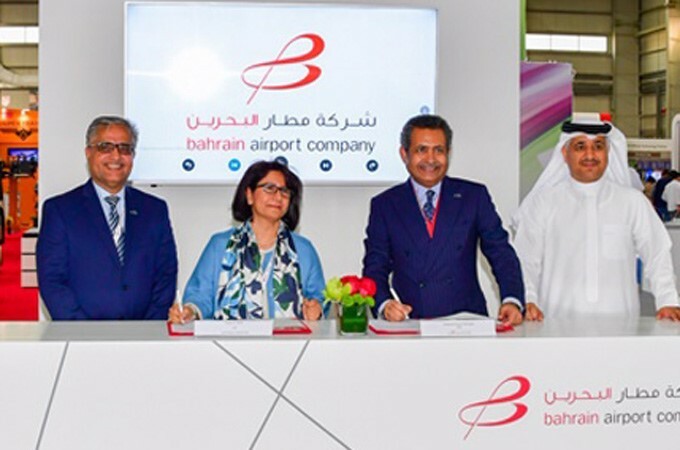 Bahrain's Civil Aviation Affairs (CAA) building, which once served as the kingdom’s main airport, will be transformed into a private aviation terminal to cater to VIPs and business leaders, Bahrain Airport Company (BAC) has announced. An agreement to redesign and renovate the 4,000-sq-m CAA building was signed by BAC chief executive officer Mohamed Yousif Al Binfalah and Gulf Engineering House general manager Nawal Abdulkarim, in the presence of Transportation and Telecommunications Minister and Gulf Air Group Holding chairman Engineer Kamal bin Ahmed Mohammed and officials from both companies. The signing ceremony took place on the first day of the Bahrain International Airshow (BIAS) 2018, which is being held under the patronage of His Majesty King Hamad bin Isa Al Khalifa and the supervision of Shaikh Abdullah bin Hamad Al Khalifa, Personal Representative of His Majesty the King and chairman of the BIAS Supreme Organising Committee. BIAS 2018 runs until November 16 at the Sakhir Air Base. The minister said: "The Civil Aviation Affairs Building is an important landmark in Bahrain’s rich aviation history. During the renovation, our goal is to ensure it retains its traditional character while transforming it into a private aviation terminal that adheres to the latest international standards and elevates the kingdom’s aviation sector in line with Bahrain’s Vision 2030. The project is part of the ministry’s plan to offer services to private jet owners through BIA, especially in light of the sector’s impressive growth rate in the Middle East. It is also part of a comprehensive strategy to enhance the infrastructure of BIA and one of the main components of the Airport Modernisation Programme, which is expected to be finished by Q3 2019." Roads and Transport Authority (RTA) has given approval for a Dh590-million ($161 million) project that entails the upgradation and expansion of the smart traffic systems in Dubai. The move comes following the directives of HH Sheikh Mohammed bin Rashid Al Maktoum, Vice-President and Prime Minister of the UAE and Ruler of Dubai, to broaden the scope of smart traffic systems in support of efforts to rank Dubai as the smartest city worldwide, and implement smart technologies and programmes in order to ease the mobility in Dubai, said a statement from RTA. The RTA endorsed the project at a session chaired by Mattar Al Tayer, the director-general and chairman of the board of executive directors at RTA. "This project is one of the key deliverables of RTA’s Innovation Lab (Masar 2030) endorsed by Sheikh Mohammed. It encompasses the design and construction of an integrated infrastructure for Dubai smart traffic systems and the construction of a new Traffic Control Centre at Al Barsha," noted Al Tayer. "It envisages lifting the smart system coverage of Dubai roads network from the present 11 to 60 per cent," he added. Al Tayer pointed out that the project will also help cut the time of detecting accidents and congestions build up and accordingly accelerate the response time. "It will also provide instant traffic information to the public about roads network via new Variable Messaging Signs and smart apps. The Project will also step up the management of traffic movement at major events, such as Expo 2020," he added. The Phase one of the project will expand the coverage of smart traffic systems to 60 per cent of Dubai roads network, said the statement from RTA. The scope of work includes provision of an integrated infrastructure for smart traffic systems in Dubai and the construction of a new traffic management system. It will facilitate the management of traffic bottlenecks and accidents, enhance the safety of road users, and ease personal mobility, it added. Al Tayer said due to the massive nature and technical sophistication of the project, the initial stage will be split into five key bundles. "The first covers traffic monitoring and data capturing systems such as cameras, vehicle detection devices as well as Bluetooth devices and weather sensors. The second bundle relates to information signs (dynamic messages), which involves the installation of 112 sign boards providing instant information to drivers about the road condition," he explained. The third bundle involves constructing the infrastructure such as civil works, fiber optic lines, and electricity distribution network. The scope of these works involves the extension of lines spanning over 400 km, he stated. The fourth bundle covers the advanced central traffic system. The system supports decision taking, ensures an automatic response, and enables the integration with devices at site as well as other traffic centres and operations systems. Al Tayer said the fifth bundle covers the construction of a Traffic Control Center at Al Barsha South to accommodate the projected increase in the current and future smart traffic systems. The building will be located in the middle of the Emirate to keep pace with the planned expansion of the Smart Traffic Systems in Dubai. UAE-based property developer Meraas has opened the doors to Bluewaters, the latest island destination located right across Jumeirah Beach Residences and a 20-minute drive from City Walk and also home to Ain Dubai, the world’s largest observation wheel. A world-class island destination built to Meraas’ exacting standards in terms of magnitude, design and aesthetics, Bluewaters will add to Dubai’s competitive advantage among global cities, said the developer. Apart from the spectacular Ain Dubai, it provides comprehensive residential, retail and hospitality options, making Bluewaters a leading tourist destination, as well as a preferred place to live, work and play. Neighbourhood offers panoramic vistas, enhances city’s skyline with distinctive residential, retail and hospitality zones connected by open walkways, it stated. Since Ain Dubai first made its appearance off the coast of Dubai Marina, it has captured the imagination of the city. Making its presence felt, this new landmark-in-the-making has drawn attention to Bluewaters, the island destination by Meraas that has opened its doors to visitors, said the developer. At 250 m, it is taller than the 167-m High Roller in Las Vegas and the 190-m New York Wheel planned for Staten Island. Ain Dubai will carry up to 1,400 passengers at a time in its 48 double-glazed capsules, offering unforgettable 360-degree views of Dubai. Each leg of the observation wheel stands at a height of 126 m and is long enough to fit 15 London buses. The development also boasts Bluewaters Residences, comprises 10 elegant mid-rise towers featuring 698 apartments, four penthouses and 17 townhouses, set over a podium that offers stunning views of the sea or Ain Dubai. With the initial wave of handovers set for next month, the island should welcome its first residents by the first quarter of 2019. Each penthouse enjoys unparalleled 360-degree views of the Arabian Gulf, Dubai Marina, Ain Dubai and Dubai’s skyline, and offers a generous indoor and outdoor space with five bedrooms, en-suite bathrooms and expansive living areas, it stated. Meraas Group Chairman Abdulla Al Habbai said: "Dubai has always had its eye on the future. As the city develops in line with the vision of the UAE’s leadership, we are constantly striving to achieve greater heights. Meraas has been mindful of this, while also being focused on the nation’s emphasis on its people’s happiness and quality of life." "We are set to achieve many engineering feats at Bluewaters and are delivering a destination which will establish a new benchmark for modern design. However, we are proudest of the fact that it will bring people together and create enriching experiences to support the growth of Dubai as a global hub," he noted. Food and beverage at The Wharf range from licensed fine-dining concepts at the waterfront to quirky eateries, and an eclectic mix of cafés, restaurants and intimate bistros that serve a wide range of global cuisines. More concepts and stores will be opening gradually over the coming couple of months, said the developer. Central Avenue borders the landside of The Wharf, while North Walk and Wharf Avenue edge the waterfront, circling Ain Dubai Plaza beneath the observation wheel. A 265-m pedestrian bridge, The Wharf Link, connects this area to The Beach on the coast of mainland Dubai. Bluewaters Wharf Station will serve as a dock for water transport. It also boasts over 2,000 parking bays, spanning basement and podium levels. Meraas aims to pull out all stops to deliver Bluewaters’ unique promise of an island luxe vibe, with unparalleled experiences brought to the region for the first time at the Caesars Palace Bluewaters Dubai, The Residences at Caesars Palace Bluewaters Dubai and Caesars Resort Bluewaters Dubai. Emirates is offering special fares in the UAE to over 20 global destinations in its network. Passengers can now take advantage of the upcoming UAE National Day long weekend and plan a short holiday getaway, or visit family and friends back home, within Emirates’ vast network. The offer applies to bookings made today until November 22 for travel until July 31, 2019. Economy Class passengers can enjoy fares to Colombo starting at Dh1, 495 ($406.9), London starting at Dh2,665 ($725.4), Seychelles starting at Dh2,935 ($798.9), Cape Town starting at Dh3,635 ($989.5), Bangkok starting at Dh2,305 ($627.4), Beirut starting at Dh1,065 ($289.9) and Milan starting at Dh3,005 ($818). Business Class passengers can enjoy fares to Colombo starting at Dh3775 ($1,027.6), London starting at Dh13,675 ($3,722), Seychelles starting at Dh8,515 ($2,317.9), Cape Town starting at Dh15,835 ($4,310.5), Bangkok starting at Dh11,205 ($3,050.1), Beirut starting at Dh6,125 ($1,667.3) and Milan starting at Dh16,265 ($4,427.5). Travelers can also book with Emirates Holidays and enjoy a five-star holiday experience for an additional spend starting at AED 725 per person, exclusive of the airfare. Travelers can ‘fly better’ with Emirates and enjoy a stress-free experience before boarding their flight with Home Check-in. With convenience in mind, customers in Dubai booking their travel across any class with Emirates can now take advantage of Home Check-in for just Dh250 ($68.0) for up to seven pieces of luggage. A rate of Dh25 ($6.8) will be charged for every additional piece of luggage. Customers can book the service online 12-48 hours before departure. Home Check-in agents will come to a customer’s home, hotel or office anywhere in Dubai to complete the security check, conduct check-in formalities and issue boarding passes, weigh their luggage, and tag and transport the bags to be delivered straight to their flight. Kuwait could reduce its number of expats by at least 1.5 million over the next seven years as it aims to achieve a demographic balance with nationals, reported Arabic newspaper Al-Qabas. However, it does not explain the fate of 120,000 Bedouins or stateless people, nor does it specify whether the cuts will include 650,000 domestic helpers. Hospitality giant InterContinental Hotels Group (IHG) has signed a management agreement with the Al Arabiya Real Estate Company to debut Staybridge Suites in Kuwait, with the development of Staybridge Suites Kuwait Salmiya. The new hotel is due to open in January 2022 and will add to IHG’s growing portfolio in the Middle East, the company said in a statement. The 120-keys Staybridge Suites Kuwait Salmiya will offer long-stay guests a choice of one-bedroom and two-bedroom suites. The serviced apartments will feature separate living and working areas, kitchens, entertainment systems and free WiFi, it added. Pascal Gauvin, managing director, India, Middle East & Africa, IHG said: “We are delighted to partner with Al Arabiya Real Estate Company, owned by The Bukhamseen Group to debut Staybridge Suites in Kuwait. In 2017, IHG and Bukhamseem Group signed an agreement that grants Bukhamseem Group a country-wide exclusivity for a 10-year term and covers six IHG brands, including InterContinental Hotels and Resorts, Crowne Plaza, Holiday Inn, Holiday Inn Resort, Holiday Inn Express and Staybridge Suites. There are currently four Staybridge Suites hotels open across the Middle East, with a further six due to open in in the next three to five years. Expats in Oman are also prohibited from owning land in islands, sites near palaces and security and military authorities, and archaeological and ancient houses. The Sultanate of Oman has banned expats from owning agricultural land and real estate in many areas, according to a royal decree by Sultan Qaboos bin Said. The areas include Dhofar (with the exception of Salalah, Musandam, Buraimi, Al Dhahirah and Al Wusta), Shinas, Liwa, Masirah, Jabal Al Akhdar and Jabal Shams, as well as any other mountains of strategic importance. Omanis who have had their citisenship withdrawn will be asked to transfer their land if it is located in the above-mentioned areas. The transfer should take place within two years from the date of the nationality loss, but may be extended for a year following approval by the Minister of Housing. If the owner fails to do so, the ministry will reclaim the land with compensation of the land plot. If the land boasts existing property on undergoing construction, the state will retain the right to sell the land and related works should the owner fail to transfer the land. The sale price, however, would return to the owner of the land. The law also states that a jail term of between three months to one year, and a fine of between $2,600 (OMR1,000) to $7,800 (OMR3,000) shall be imposed on those who deliberately enter into an illegal ownership contract. Those who use methods of fraud will also be jailed for between six months to two years, and fined between $5,000 (OMR2,000) to $13,000 (OMR5,000). The IRU World Congress wrapped on Thursday signed the Muscat Compact, a roadmap for the future of road transport, mobility, trade and logistics. As a principle-based framework for cooperation, it will bring the industry together to take control of its future by using innovation to overcome current challenges and uncertainty, a statement said. The Muscat Compact focuses on four key elements - talent, trade, environment and innovation. It spurs collective action and guides public-private collaboration at a local, national, regional and global level. Over 1,000 participants from more than 75 countries attended the three-day IRU World Congress in the Omani capital. Mina Al Sultan Qaboos Port is set to play a key part in Oman’s non-oil future and will include hotels, residences, food and beverage, retail and entertainment offerings. The project to enhance it is in line with Oman’s National Strategy for Tourism 2040. Groundwork is underway at Mina Al Sultan Qaboos, the joint venture development project between Dubai property giant Damac Properties and Oman’s tourism development arm Omran. The $2 billion project will turn the country’s oldest and most historical port into the GCC’s largest waterfront destination. “The redevelopment of Mina Al Sultan Qaboos into an integrated lifestyle destination stems from His Majesty’s vision of transforming the historical centre of commerce in Muscat into a timeless and thriving economic hub,” said Dr. Ali bin Masoud Al Sunaidy, Deputy Chairman of the Supreme Council for Planning, Minister of Commerce and Industry, and Chairman of Omran. “The first stage of this project aims to set the foundation for the transformation, enhance traffic management, while establishing the necessary framework that will cement local SMEs’ and Omani nationals’ progressive role within the project,” he added. Damac has already begun the demolition of the port following an approval from Oman’s Ministry of Tourism. Chairman Hussain Sajwani said the firm has moved forward with preliminary work to prepare the port’s conversion into a tourism destination. The joint venture will also see an on-site discovery centre launched in the first half of 2019. It will be dedicated to sharing the heritage of Muttrah, the area surrounding the port, with visitors while using technology such as virtual reality. The space will also showcase details of the approved masterplan for the waterfront destination. Those who are planning to travel should do this at least 24 hours before departure or risk being offloaded from the aircraft, reported The Peninsula. “All the Non Emigration Check Required (Non-ECR) passport holding Indian emigrants are hereby advised to note that in pursuance to Ministry of External Affairs' mandate to provide protection and welfare to the Indian emigrants abroad, it was decided by the Competent Authority that Non-ECR passport holding Indian emigrants, going for ‘overseas employment’ to 18 notified Countries, are required to register online through the website www.emigrate.gov.in,” an advisory posted by the Indian Embassy in Qatar said. The countries that have been added are Afghanistan, Bahrain, Indonesia, Iraq, Jordan, Kuwait, Lebanon, Libya, Malaysia, Oman, Qatar, Kingdom of Saudi Arabia, Sudan, South Sudan, Syria, Thailand, United Arab Emirates and Yemen. “The above provision has been made operational from December, 2017 on pilot basis and it is observed that the registration process is running smoothly,” added the note. “The said registration of Non-ECR passport holders will be mandatory and required to be completed at least 24 hours prior to actual departure. Starting January 1, 2019, no Indian emigrant holding Non-ECR passport, would be allowed to go to these 18 ECR countries for employment, without prior registration in eMigrate, as a measure of extending protection and ensuring their welfare overseas,” it said. The Ministry of Interior (MoI) had recently made changes to procedures for Indians travelling to Qatar on on-arrival visas. While the number of days Indians can stay in Qatar on on-arrival visas had been reduced to 30, some new clauses — like possession of credit cards in the name of the traveller — had also been introduced. But now, further amends have been made and a traveller can carry either a credit or debit card while travelling to Qatar for visa-free entry, reported Gulf Times. “Applicant must be in possession of a valid credit or debit card (Mandatory to present a valid credit or debit card in the name of the traveller; in case of travelling with family, the family head should have a card in his name),” said the announcement on the MoI website. All other clauses remain unchanged. The traveller will need a hotel reservation, confirmed return ticket as well as passport validity of at least six months.